As a parent, your children will always be your greatest asset. 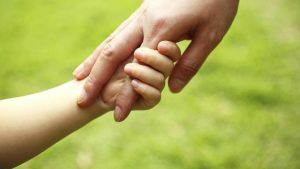 If you are a parent of young children or your children are still under 18, you have probably wondered what would happen to them in the event you were not there to take care of them. Appointing a guardian or guardians to fill that role in your absence ensures the welfare of your children whilst maintaining your peace of mind as a parent. The appointment of a guardian also minimises the likelihood of family disputes over the welfare of your children in the event that anything happens to you. What role does a guardian take on? A guardian will be responsible for the welfare and upbringing of your children in the event that both you and your partner pass away. The guardian will be legally responsible for meeting your children’s day to day needs as well as nurturing their long term development. Therefore, due to the great responsibility of this role, it is important to consider all these factors when appointing your guardian and also to discuss their appointment with them. You can appoint a guardian via your Will. Also should you have any specific wishes as to how your children are to be raised (such as education, holidays etc), you can create a Memorandum of Wishes, which is a legal document used to provide additional guidance to your guardians. Who can appoint a guardian and who can I choose? Both parents are able to appoint guardians and guardianship will only come into effect in the event that both parents are deceased. Any adult of your choice can be nominated as a guardian for your children, regardless of whether or not they are actually related to your children. What should I take into account when appointing a guardian? When appointing a guardian, there are a lot of things to consider. Bear in mind the role requires a lot of responsibility and full commitment on the part of the guardian. The onus on the guardian is higher if your children are still very young. Remember to take into account that it will be the responsibility of the guardian to ensure your children are clothed, fed and housed adequately. As well as safeguarding your children, remember your guardian is also going to be the person who will assist your children in making important lifestyle decisions. As your guardian is responsible for the long term welfare of your children, you should ensure firstly that they are willing to accept the role and that they also have clear ideas on the philosophies and customs in which you want your children to be raised. You may also want to bear in mind the age of your intended guardian as it may be suitable to choose someone of a similar age to yourself. Hence it is of utmost importance you always discuss the appointment with your intended guardian. Can I appoint two guardians or joint guardians? Yes, you are able to appoint more than one guardian. Joint guardians will be legally considered to have equal authority over the children which may result in an unwanted clash over the welfare of the child. It would be advisable to take this into account if you are considering joint guardians. A more favourable alternative to joint guardians are ‘substitute guardians’. Substitute guardians are there to fill the position, should your original choice of guardian be unable or unwilling for some reason, to serve their role as guardian. Substitute guardians are also appointed via your Will and it would be wise to also follow the same procedures when considering your substitute as you did your first choice of guardian. Is it guaranteed through my Will that my children will be cared for by my appointed guardian? Generally your children will be looked after by the guardian you have appointed and your wishes seen to, as long as you have outlined them clearly. However, your instructions outlined in your Will regarding guardianship are not legally binding. In the event that your appointed guardian is unable in some way to act as guardian, at the time of your death, the Family Court will act to appoint a substitute guardian. The Family Court will only intervene if it feels it is necessary. Maintaining the children’s best interest is always the Courts main objective. Having appointed a suitable substitute guardian can help avoid such situations. By appointing a substitute guardian through your Will, this allows you to still have an input into what goes on in the event that your appointed guardian is unable to act. This does not change the fact that your wishes are still not legally binding. Will my guardian have control over administrating my estate? No. Your appointed guardian will not have control over administrating your Estate. Administration of your Estate will be left to the executor that you have nominated in your Will. It would therefore be advisable to take into account whether or not your appointed executor/s and guardian/s will be able to co-operate and work together effectively. This minimises potential difficulty between them and other family members whilst ensuring the transition is as smooth as possible for the children. Is my guardian then able to retrieve funds from the estate to support my children? This is usually already outlined in a section within your Will. Within this section, you can enable trustees to provide advance income and capital to help immediately with maintenance of your children. Generally, the payments are set up to go directly to the guardian. Once your child turns 18, the payments can then be transferred directly to them via the trustee. What do I need to do if I want to make additional provisions for my children or for the guardian? Any wishes to provide additionally for either your children or guardian should be outlined in your Will. Additional provisions can provide very practical solutions to the difficulties that may arise in such a situation. A gift of money to the guardian to be used practically for a new car or home extension. This added financial convenience can relieve some of the burden on the guardian. Should you wish for the guardian to stay in your family home with your children, you may want to consider allowing them to live in your house rent free. You may wish to financially reward your guardian for their endeavours. This could be achieved through a gift of a lump sum or via regular payments from the trustee of your Estate. What are the legal implications of being a guardian? The legal implications of being a guardian vary according to the laws within each State. For the purposes of superannuation (depending on the state), the death of a member usually means that the funds are distributed amongst the ‘dependents’ of the deceased. Your children may be entitled to a share of the deceased guardian’s Estate if they are still financially dependant on their guardian. In matters of making a claim on a deceased Estate, your children may be entitled to make a claim if they are still financially dependent on the deceased at the time of their death. Hence it is of utmost importance to ensure that your children are well provided for from your estate to ease the burden on both your child and appointed executor. A guardian should also obtain legal advice on these issues when carrying out their own Estate planning. Contact our team today to discuss your legal issues.